Walks are an important part of a dog’s daily routine and let’s face it, dogs love them, but what happens if you work all day and don’t have time to take them out? Hiring a dog walker or pet sitter allows you to make sure your dog enjoys the many benefits of going for walks, in your absence. 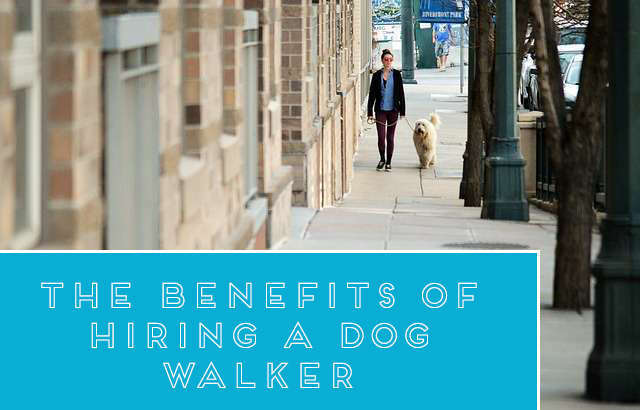 Here are five reasons to consider having a dog walker take your dog for walks, or have a pet sitter stop by your home when you’ll be gone all day. Early and continued socialisation is a crucial part of having a well-behaved dog who is a blessing to be around. All puppies should be socialised as early as possible to ensure that they don’t grow up with any fears and insecurities. A dog walker can provide your pet with plenty of opportunities to interact with other dogs and people and experience new situations, smells and adventures. Your dog will, as a result, learn to adjust to new experiences with ease and handle them with confidence. Daily walks give dogs the opportunity for exercise on a regular basis, which helps keep them in optimal health. Active dogs have a significantly lower risk of developing serious health problems associated with obesity, such as heart disease. Older dogs are prone to arthritis and regular physical activity can also help lower this risk as they age, as walking and running helps maintain strong muscles and flexible joints. Bonding with a healthy and happy dog is easy and pleasurable. You will be relaxed in the knowledge that you are coming home to a pet who is calm and happy, rather than them being anxious, frustrated or bored, thanks to being out and about in fresh air and having the chance to burn off excess energy. Like humans, dogs are social animals who want to be around people or other pets. Dog walkers provide dogs with care and attention to keep them happy and occupied rather than being left alone for several hours each day. This can lead to a significant decrease in the separation anxiety in dogs with owners who work full-time. In addition to wanting attention, dogs can also lack stimulation when they’re cooped up inside all day, which can lead to destructive behaviours such as chewing and barking. A dog walker can help prevent your dog getting bored by taking dogs out for walks around the neighbourhood one or more times a day. Dog walkers provide a range of services such as walking your dog while you’re out at work, feeding and watering, performing welfare checks, and providing care and companionship for your animals when you are not around. Most of us see our dogs as part of the family and you’ll want to find the very best person for the job; someone who is confident, competent, knowledgeable about animals, and who will care for your pet as much as you do. So how can you find the perfect person? A good place to start looking for a dog walker is at your local veterinary surgery, who often keep a list or database of pet sitters and walkers in the local area, and a recommendation from your animal’s own vet is always a plus point! Word of mouth, from other pet owners is a very important source of information, so ask around. Websites such as Narpsuk.co.uk and other local advertisement boards, pet specific online classifieds forums, and telephone directories all list pet sitters and dog walkers too. Things you will want to consider to ensure the best fit for your own dog. 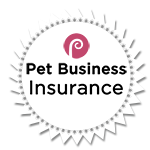 Firstly and most importantly, choose a pet sitter or dog walker who holds the necessary insurance for the job. This person will be coming into your home and holding the duty of care for your animals either in your house or out walking. They will need to be covered if something unfortunate should happen, such as your dog becoming injured on a walk or causing damage or injury themselves. Always ask your potential pet sitter or walker to provide references from their other clients, and follow up on them. Meet with several potential candidates, to see how they interact with your pet and get an idea of how your pet feels about them. Find out a little about their background, and what relevant experience they have with dogs. Ask what they would do in the case of an unforeseen situation if they were ever unable to make it over to walk or care for your pet when they have agreed to. Do they have contingencies in place, and are you happy with them? Ask them how they will safeguard your animals, keys and home and what protocols they have in place to ensure your security. Ask them as to what they would do in an emergency, or if your animal was sick and injured while in their care. Do they have a clear idea of how they would manage this, and can they satisfy you that they would be able to deal with it effectively and in the way that you would want? Consider if your dog will require solo walks, or would be happy in a pack. If your walker takes out multiple dogs at the same time, ask them how many, and ensure that you are comfortable with that number and confident in the dog walker’s ability to manage and care for them all. Check with them if they make sure that any dogs which they bring into contact with your own are vaccinated and up to date with their flea and worming regime. Find out where your walker intends to take you dog and whether it is safe, stimulating and appropriate. Where might they be allowed off the lead, and is it secure? Establish what happens if your dog is brought home wet, muddy or having rolled in fox poo. You’ll want to make sure that your dog walker will dry your dog off and clean them up to a reasonable standard before leaving them in your home. When interviewing a few dog walkers to find the best fit, remember that a competent and experienced person will want to ask you as many questions as you put to them. They should be interested in your dog and in finding out what is important to you, and address any specific concerns you might have. Professional pet sitters and those who take the duty of care of your dog seriously will probably ask you to sign an agreement contract, covering both what they will and won’t do, and what they expect from you in return.